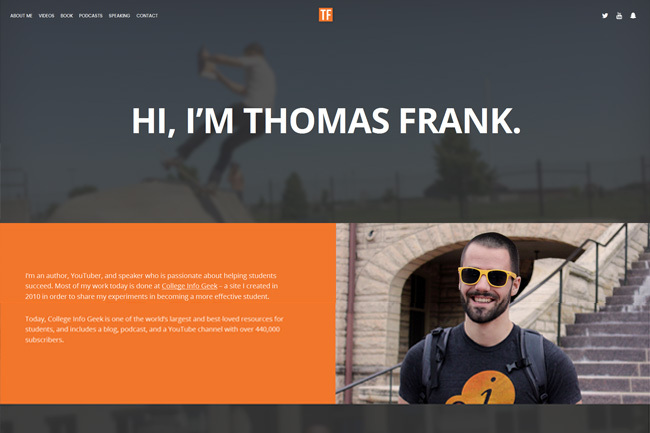 Simple is a free WordPress theme, by Themify, built exactly what it is named for: simplicity. 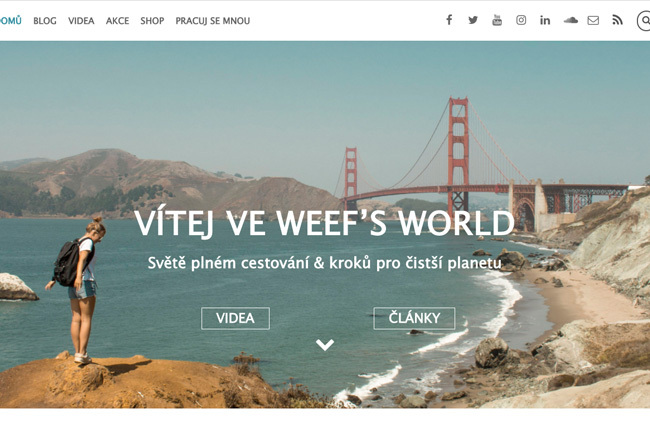 Immediately upgrade the quality of your WordPress site with the Simple theme! The simple design is built around to add a Shopify store on your WordPress site using the free Shopify Buy Button plugin, but is flexible enough for any regular blog or static pages. 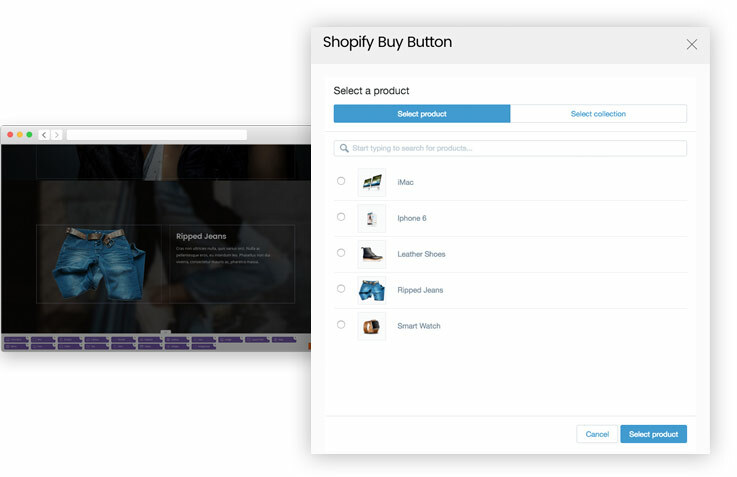 Simple is built and designed specifically for use with the Shopify Buy Button plugin, from Themify, to simply turn your WordPress site into a store front, where customers can easily buy items without having to redirect to Shopify. Use Shopify to manage your shop and inventory, and use Themify Builder to design your storefront and website in WordPress. As with all Themify themes, Simple is responsive and is designed to be displayed beautifully on any device or resolution. With Themify Builder that is included in the Simple theme, you get the flexibility of customizing your design and building beautiful shop pages with the drag & drop interface. 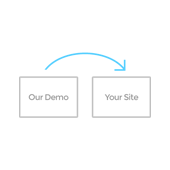 With Simple, you get new options for your website's header: transparency and stickiness. Transparent header allows for the header design to overlay with the content, and sticky header makes sure that readers can easily navigate regardless of their position on the page. Take a look at the Simple demo to see transparent and sticky header in action! With certain sections or pages, you may want to differentiate the look and feel to provide a different user experience for readers. With Simple, you can customize unique page title header in static pages and categories (click to see what they look like!) 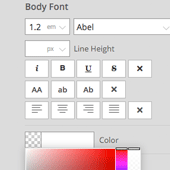 which allows you to upload any background image and pick any overlay colour, for a simple and attractive unique header for pages. It can also displays optional sub-heading or category description, allowing for greater flexibility in your store. Themify's beautifully designed themes also come with intuitive features out of the box, just like the "Back to Up" button, which brings visitors to the top of any given page, no need for external plugins or coding skills! 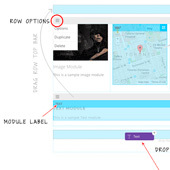 Buy Developer version to have access to support and Photoshop mockup files of the theme.